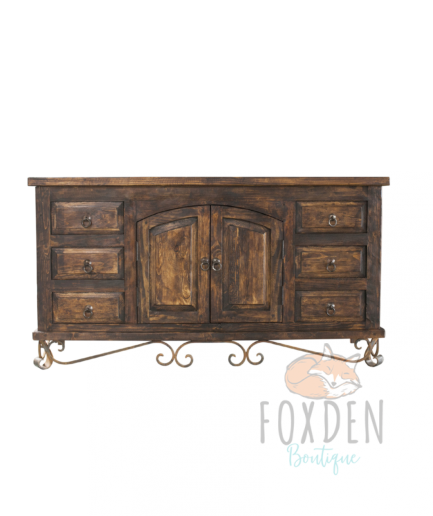 Add charm to your bathroom with this vanity reminiscent of old world world styles. 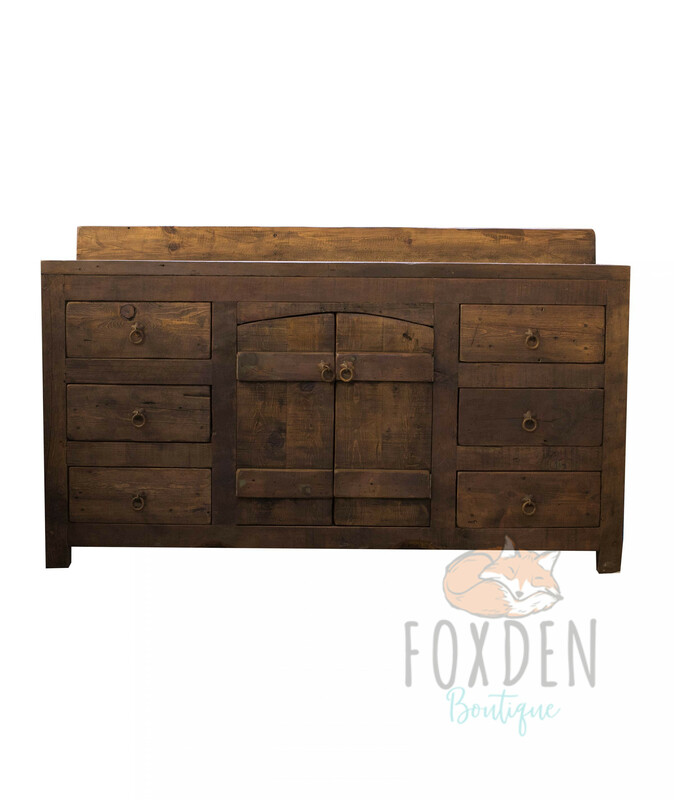 Handcrafted from 100% reclaimed wood and hand forged hardware. 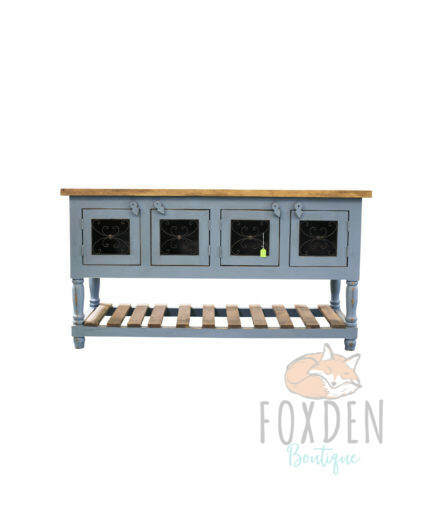 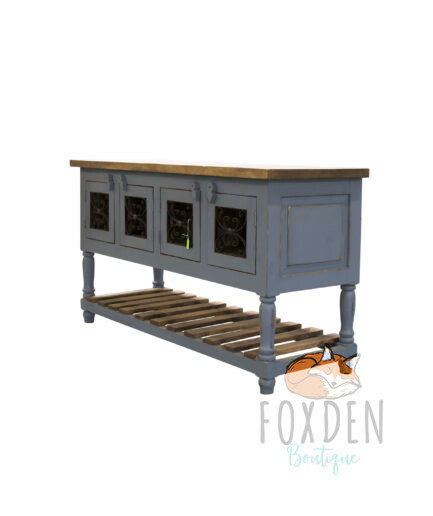 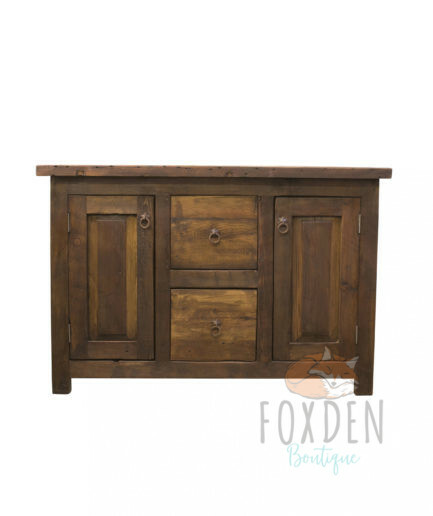 This old world piece has curved doors, rustic hinges and has the option of a matching linen cabinet. 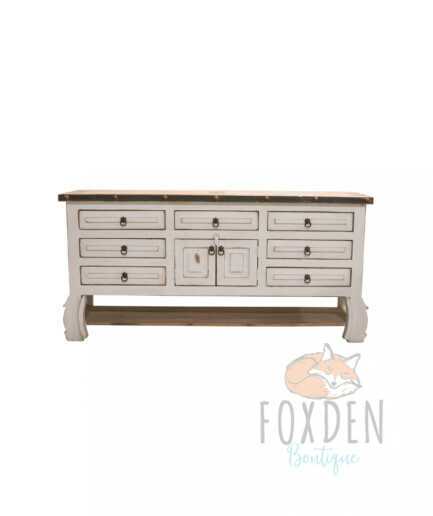 The old wood is sanded to a smooth, buttery finish but still preserves the characteristics of the old wood. 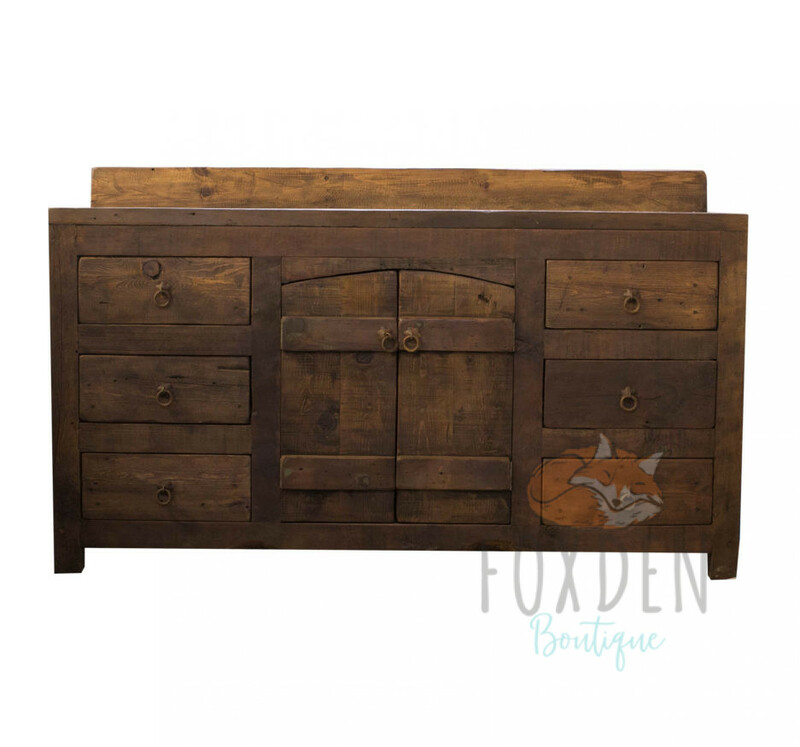 The top is finished and sealed to protect against water damage. 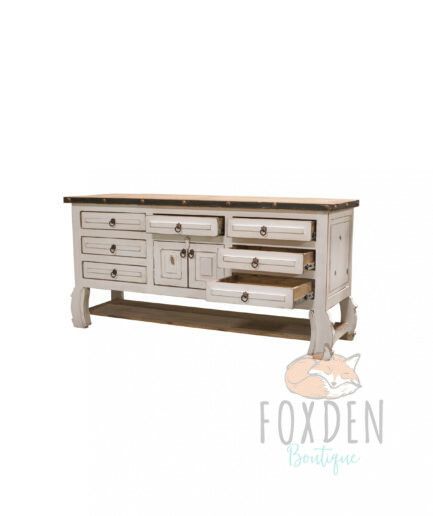 SKU: 506-1 Categories: Bathroom, Vanities Tag: 56-65"